15 years old at the time of disappearance. 13 Nov 1976. Last seen wearing blue jeans, orange and red check cotton shirt, royal blue sloppy-joe and riding a green bicycle. Stephen left his home in Wattie Avenue, Macquarie Fields, Sydney NSW after saying he was going for a bike ride. Stephen did not say where he was going. He has not been seen since. He was looking forward to joining the RAAF. Reported missing to: Ingleburn Police Station. Macquarie Fields Police are appealing for information, as part of Missing Persons Week, to locate Stephen Turvey, missing from Sydney’s south-west since 1976. About 1pm on Saturday 13 November 1976, then 15-year-old Stephen Turvey, was last seen at home in Glenfield. Stephen asked his mother if he could go and ride his bike and was expected to return home later in the afternoon. He was reported missing to police by family members when he did not arrive home. At the time of his disappearance, Stephen was described as being of Caucasian appearance, 173-175cm tall, slim build, with shoulder length brown hair, brown eyes and olive complexion. His disappearance is being investigated by Macquarie Fields Detectives. Throughout the investigation, there have been reports Stephen Turvey, who would now be aged 53, was seen in Bradbury in the early 80’s and around Freemantle, Western Australia, in the late 80’s, but he has never been located. The Turvey family has expressed an appeal to the general public and to Stephen himself. “We are seeking any assistance from the community to locate our brother, Stephen. “And Stephen, if you are reading or seeing this, we would love to hear from you. Any communication would be more than welcome. Love from all your family,” Turvey Family said. Anyone who has seen Mr Turvey, or has information about his whereabouts, to contact Crime Stoppers on 1800 333 000 or use the Crime Stoppers online reporting page: https://www1.police.nsw.gov.au/. Missing Persons Week is an annual campaign to raise awareness of the issues and impacts surrounding missing persons and runs between Sunday 3 August and Saturday 9 August 2014. NSW Police Force would like to thank the Outdoor Media Association (OMA) for their assistance with Missing Persons Week 2014, donating more than $220,000 worth of advertising sites across NSW. Around 1pm on November 13, 1976, teenager Stephen Turvey told a family member he was going for a bike ride. The 15 year old was seen leaving his home on Wattle Avenue, Macquarie Fields a few minutes later. That was the last time anyone laid eyes on the Macquarie Fields teenager. When he failed to return home as expected, officers from Macquarie Fields Local Area Command were notified and launched an investigation. 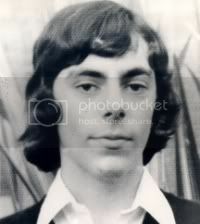 Throughout the investigation, there have been reports Mr Turvey, who would now be aged 56, was seen at a children’s home in Melbourne for a short period in late 1976 or early 1977. At the time of his disappearance, Stephen was described as being of Caucasian appearance, 175cm tall, of a thin build, with shoulder length brown hair, brown eyes and an olive complexion. Police are now appealing for information as part of 2017 Missing Persons Week to help find a man who went missing 41 years ago. Anyone with information about his whereabouts is urged to call Crime Stoppers on 1800 333 000. Missing Persons Week is an annual national campaign to raise awareness of the issues and impacts surrounding missing persons and runs between July 30 and August 25. The theme of this year’s campaign is “Still waiting for you to come home’’. The campaign aims to highlight the high number of young people such as Stephen Turvey who are reported missing to police each year and the impact on family and friends following the disappearance of a loved one. New statistics show teenagers between the ages of 13 and 15 are reported missing to NSW Police more than any other age group each year. In 2016, 13 to 15-year-olds accounted for nearly 30 per cent of the 10,909 missing person reports made to police. So far in this year, there have been 5,790 missing persons reports, of which 49 per cent are under the age of 18. Launching the 2017 campaign, Acting Superintendent Missing Persons Unit Commander Kristy Walters said the impact on families and friends was significant. “For families of missing persons, not knowing if their loved one is safe is a traumatic experience that never goes away,” Acting Superintendent Walters said. “When someone goes missing, it not only affects their immediate family, but it can have a ripple effect on their networks and wider community. “The detectives who work tirelessly with families to try and locate their loved ones who are still missing are also profoundly affected by their plight,” Acting Superintendent Walters said. Acting Superintendent Walters said it’s hoped by highlighting missing person cases throughout the week will generate new information that could help bring them home. For more information on the campaign members of the public are encouraged to visit the National Missing Persons website here.